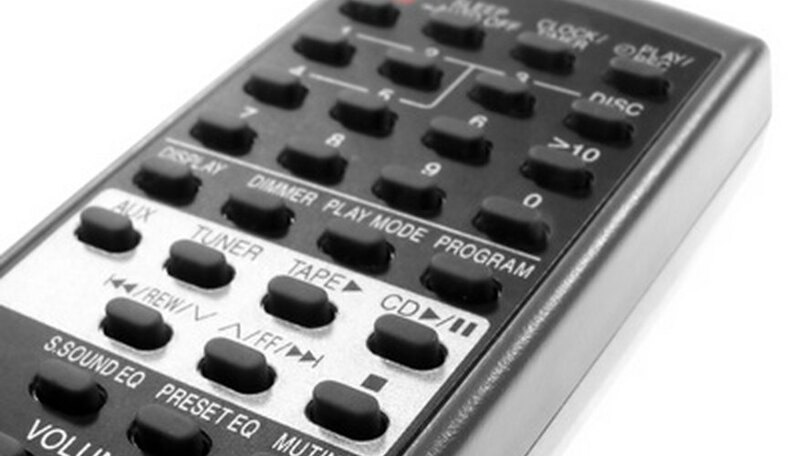 The PlayStation 3's remote allows you to watch Blu-ray movies on the console, but before you can use it, you have to program the remote to your PS3. Blu-ray is a high-definition format and is meant for HDTVs with 1080p resolution. If your TV doesn't support 1080p, the Blu-ray movies may not look any better than a regular DVD. You also will need to have your PS3 connected to the TV using an HDMI cable. Remove the battery cover from the back of the PS3 remote by pressing down on the latch. Insert two AA batteries, then replace the battery door. Turn on your PlayStation 3 console using the "Power" button. Select "Settings" from the console's main menu using the PS3 controller. Select "Accessory Settings," then select “Register BD Remote Control” and press the "X" button. Follow the onscreen instructions to finish programming the remote. Be careful not to drop the remote when removing the battery cover.